Elrath Alexander Taylor and Sallie Estelle (Dean) Taylor were my maternal great-grandparents. Their oldest daughter, Gladys Emma Taylor, was the only grandparent that I knew. Also, though my parents never talked much about their families, my mother has talked some about how she used to spend summers with them; she called them Grandaddy and Granny. Elrath Alexander Taylor was born in 1888 in the Daisy community in Butler County, Alabama. The 1900 census lists him incorrectly as “Elijah” but has him there at 12 years old, living with his parents William and Mattie Taylor. He was the sixth of nine children, and two of his older siblings were a set of twins. (The census record shows two sets of children as the same age, but my dad’s records say there was only one set of twins; that’s something else to look into.) His grandmother Dolly Graves (his mother’s mother) was also living there with him. His father, William Taylor, is listed as being from Alabama, but the census says that his father was from South Carolina. Sallie Estelle Dean was born in 1896 in the Sandy Ridge community in Lowndes County, Alabama. She was the fourth child of Edward Lowndes Dean and his wife Mary A. Norman. The 1900 census incorrectly lists my great-grandmother as four-year-old “Sarah E” in Sandy Ridge, but that’s her. By 1910, her family had moved to the Daisy community, and that census shows the Dean family’s entry right below the entry for William Taylor’s family. Young Elrath, who everyone called Ed, and young Sallie were the rural Alabama equivalent of next-door neighbors. They were married in 1910, presumably not long after the 1910 census, which lists them both still with their parents. Ed Taylor would have been about 21, and Sallie about 14. 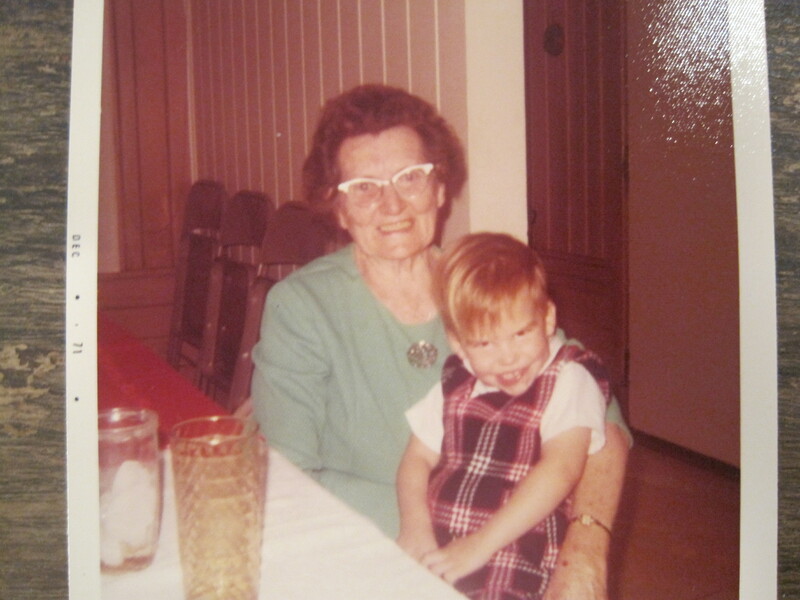 My grandmother, Gladys Taylor, was born soon after the marriage, in October 1911. In the 1920 census, Elrath Taylor and Sallie Dean are farming in Sandy Ridge, back in the community where she was from. My grandmother Gladys Taylor is there, age eight, and her young brother William is three. Throughout the years, following the census records, not much changed for my great grandparents. As time passed, there they were, farming in rural Lowndes County. Sometimes a record lists them in the tiny community of Sandy Ridge, sometimes in nearby town of Fort Deposit. There’s not much to say, other than that, by examining the standard genealogical records. 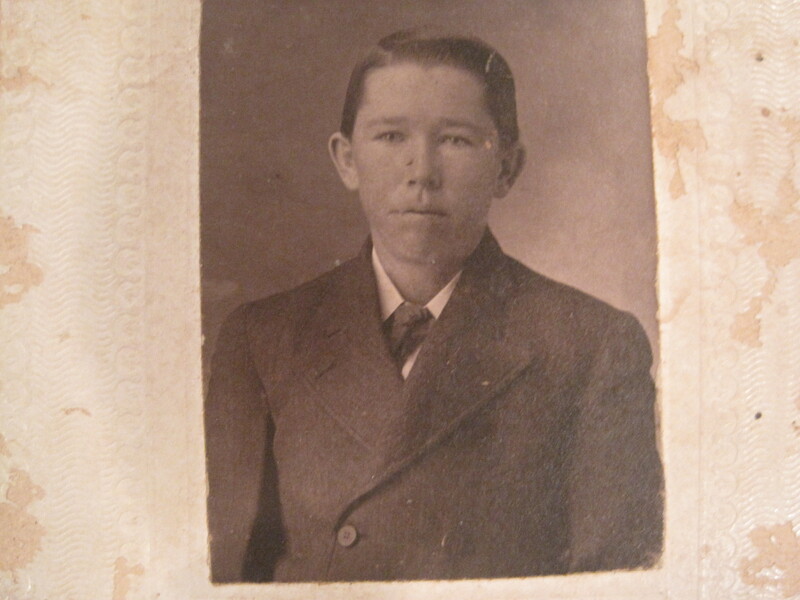 Coupling my mother’s anecdotes with records I’ve found, my great-grandparents seem like good, honest, hard-working people, typical of a kind of rural Southerner that was prevalent for a century-and-a-half but disappeared in the mid-20th century. The only other thing I know about the Taylors, from stories that my mother has told me, was that my grandparents lived with them for at least a short time. My mother has told me that my grandfather (Andrew C. Foster) farmed with his new father-in-law when they first got married. That would have been in the mid- to late 1940s. They must’ve remained close since my mother spent some of her summers down there. Elrath “Ed” Taylor died in 1961 and was buried in Little Sandy Ridge Cemetery. Sallie Taylor lived until August 1975. Even though I wouldn’t remember her – I was not yet a year old then – presumably she met me. Though we’ve never gotten around to it, I’ve asked my mother to take me down to where her grandparents lived. She says that their house has burned down now. The house and farm had been sold off, and the house burned when another family lived in it. Hopefully, one day, we’ll get in the car and ride down there.